The Cheaha Wilderness encompasses a high rocky ridge just to the south of Alabama's Highest point. 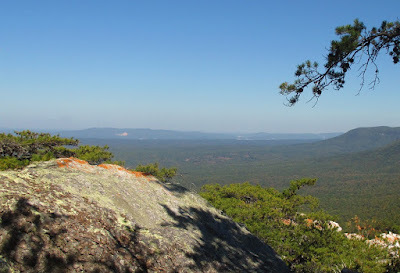 The Pinhoti Trail travels its length. The hiker who is fortunate enough to wander these woods in late October gets the added benefit of the fall color change. The red maple 'Acer rubrum', is a notable star performer all across the eastern US. 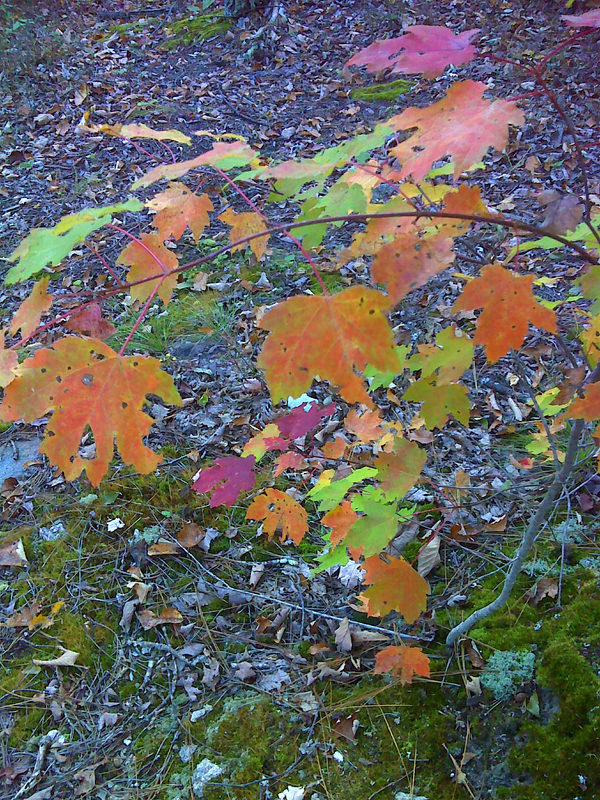 Here one little tree shows much of this species' magnificent color palate. I've never seen this before--such diverse coloration on a single tree. Many of the trees were just beginning to change color. 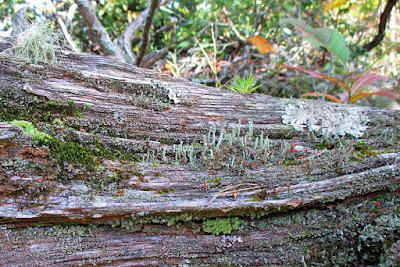 As seen from the vista points, the predominant color is still green. But there was one notable exception. 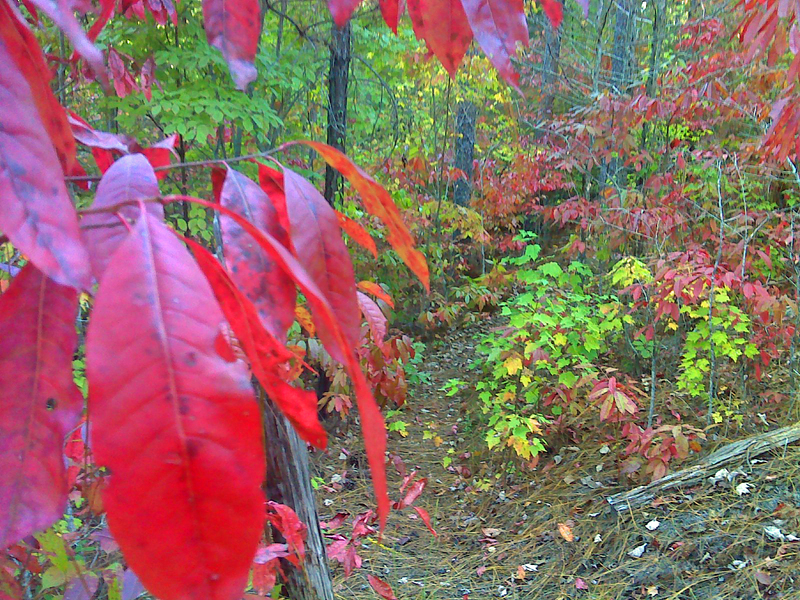 The sourwood, 'Oxydendrum arboretum,' stood out with its pale pink-red to blazing deep red. 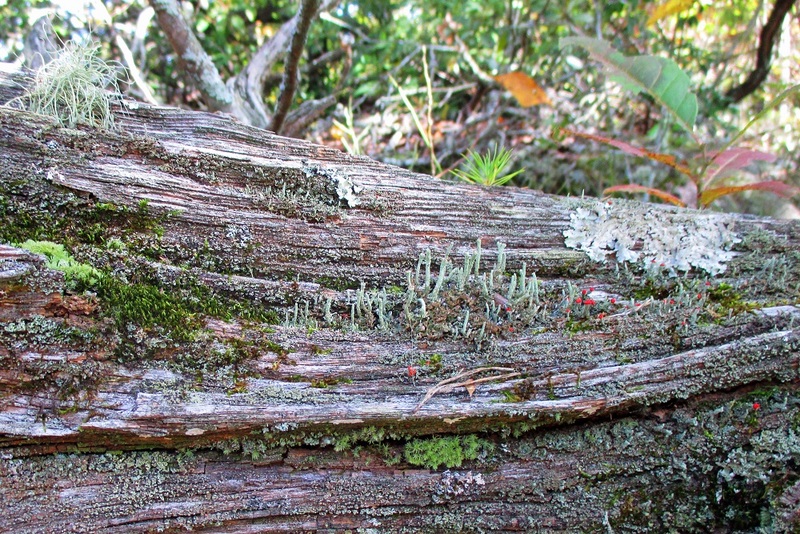 Also seen today was this little lichen and moss 'Garden on a Log'. It's not all about grand vistas. Sometimes the tiniest scenes paint the prettiest picture. And lastly, when I turned over a rock, look who showed up. 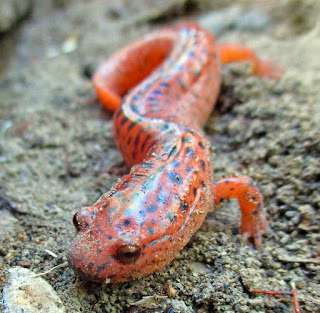 A red salamander 'Pseudotriton ruber'. 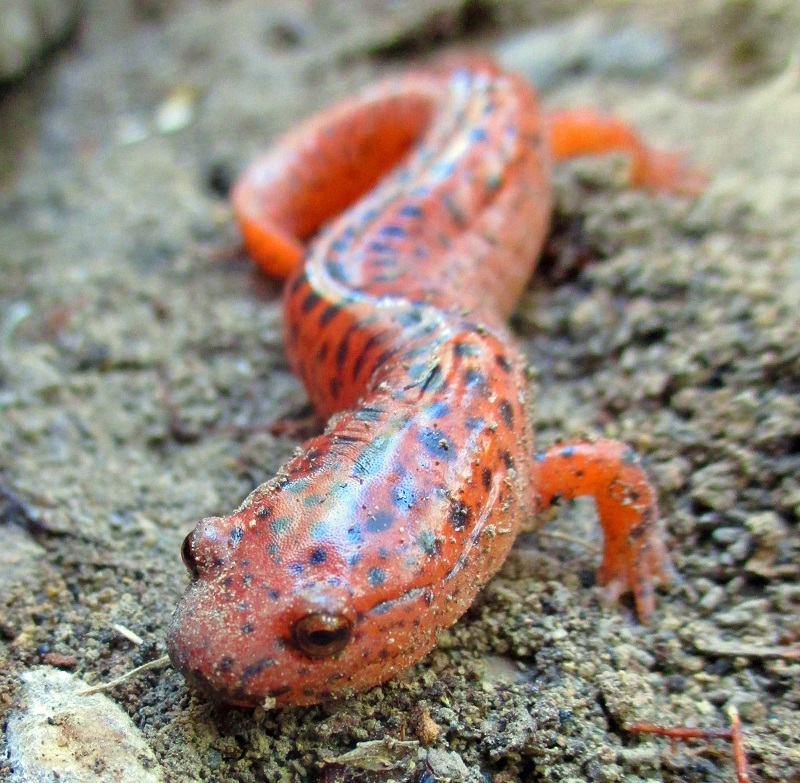 This guy was five inches long and is one of the most primitive species - it has no lungs or gills. It breathes only through its skin. This was a memorable day for me--so much to see. I only hiked this eleven mile section but that was plenty - the time and miles melted away like sweet butter. Below is a map of the route, with links to photos from every vista, more leaf color photos, etc.